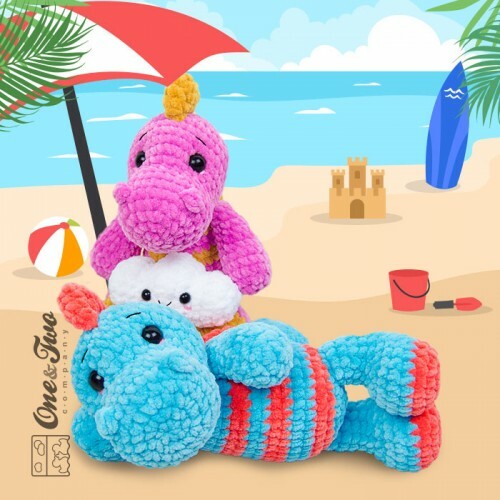 Dusty is a cool dino who always has lots of plans to play with wooden blocks and build sandcastles at the beach... 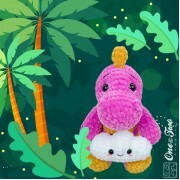 Together Dusty and the tiny cloud are never bored... and they're the best of friends! 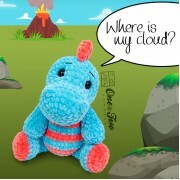 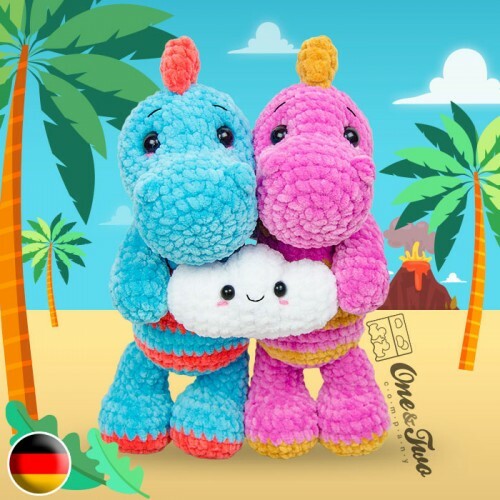 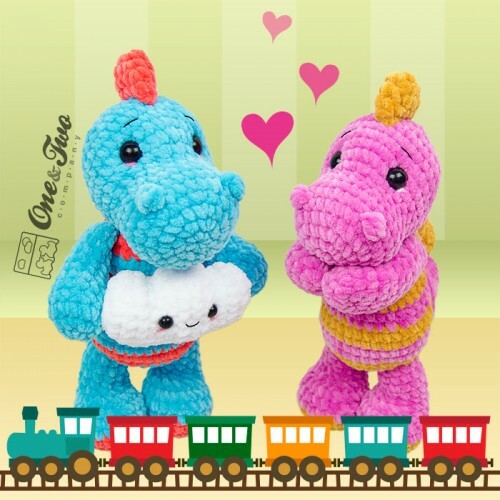 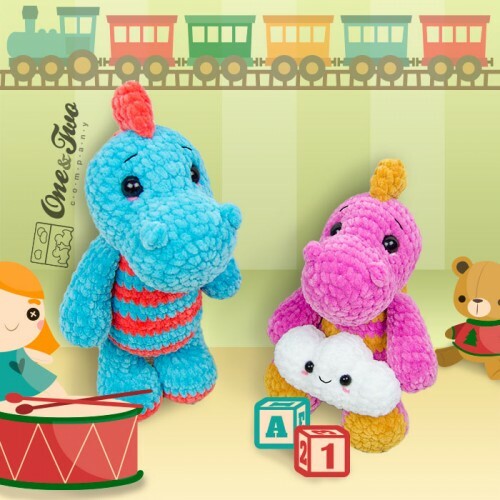 Dusty the Dino is the perfect friend for your child, sweet and charming, you can customize it as you like. 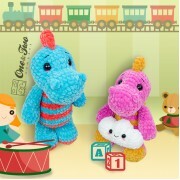 It's also a fantastic gift for a nursery or even do it for you :) Sure you will have fun making it. 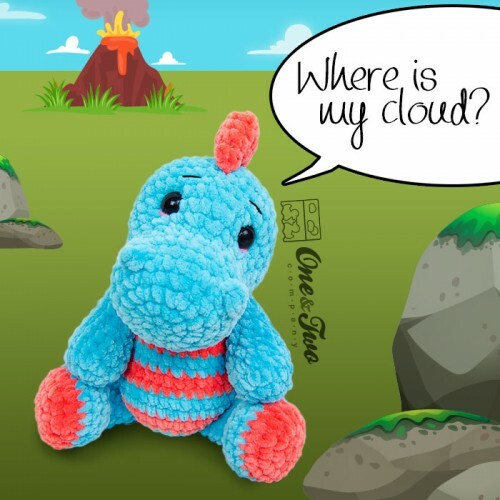 · I used Super Bulky yarn for this pattern.